Need a quick breakfast, or morning snack? 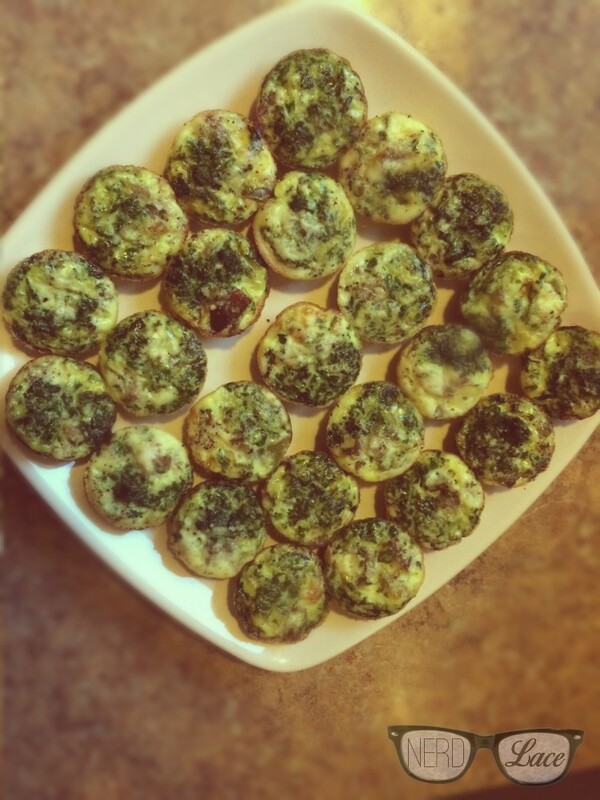 These mini egg white muffins are easy, quick, and delish! Whatever veggies and meat you have in the fridge/freezer. A pint of organic egg whites. 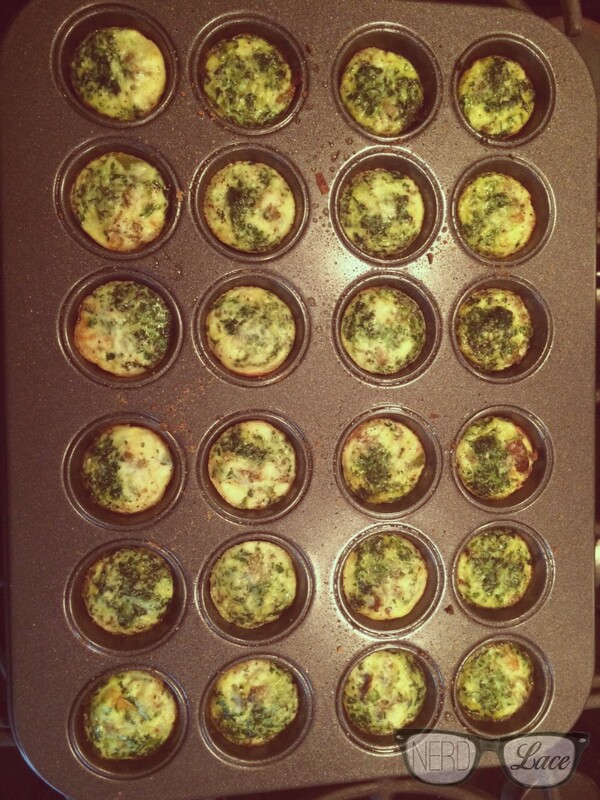 Spray a mini muffin pan with EVOO (extra virgin olive oil) or Organic Coconut Oil. Portion out all the veggies into each muffin. If you are adding a meat, chop it up and sprinkle into each muffin as well. Fill each muffin with egg whites. Lastly, sprinkle with some Parmesan cheese for a little added flavor. Bake for 20-25 minutes; when the edges of the muffins start to brown, its done. Let cool for a few minutes before you pop them out of the pan. These egg white muffins are great because they can be stored in the fridge for a few days. When you want breakfast, or a snack, you can enjoy them cold or just pop them in the microwave for 20-30 seconds to warm them up. Now get creative with your ingredients; other items I’ve used were: mushrooms, diced tomatoes, peas, corn, sweet or regular potatoes, shredded leftover chicken, and turkey bacon. Enjoy! Duplicate this recipe? Show it off on social media. Use the hashtags #nerdandlace and #NLFoodie. Also follow us on Instagram, Facebook, and Twitter. Want more recipes? Check out our previous Foodie Monday recipes.